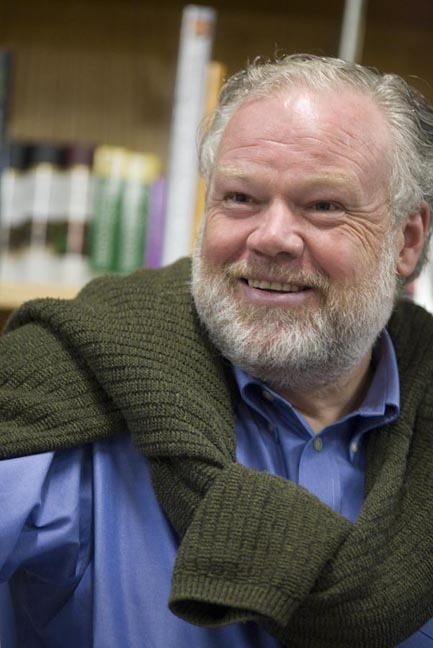 Author Thomas Ricks has few cheery words for listeners at Bunch of Grapes bookstore. As Thomas Ricks was writ ing his definitive account of the planning and execution of the invasion and occupation of Iraq, he would sometimes look out his window and see children walking home from the kindergarten down the street, and have an awful premonition. 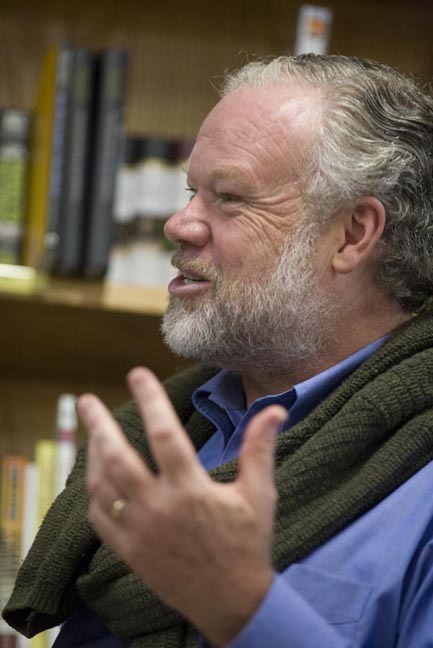 “I would look at those kindergartners and think ‘one of those kids is going to fight in Iraq’,” he told a small audience at the Bunch of Grapes bookstore last Friday night. Mr. Ricks’s book Fiasco, an account of the mistakes made in the Iraq war, is now required reading at the Army war college. But still he doubts that military and civilian leaders have learned the lessons of Iraq, and still he worries that those children will go off to that war. The fact is, for all his analysis of how America got into the war, he can see no clear way out of it. “Right now our burn rate in Iraq is $3 billion a week. I think we’re going to be spending billions of dollars there for years to come. The question now, he said, is not so much whether the current President will be able to extract this country from the war, but whether the next one will. And for all their talk about the need to get out of Iraq, Mr. Ricks said the Democrats are terrified of the possible domestic political consequences of a pullout. “I don’t think the Democratic party in Congress is going to pull the plug on the war, because they feel they were wrongly tagged with the defeat in Viet Nam,” he said, reminding his audience that only six years elapsed between the fall of Saigon and the election of Ronald Reagan. The potential for them to be blamed for an even greater disaster was simply too great. Mr. Ricks judged the so-called surge in troop numbers this year — which was really a relatively small increase — a tactical success, but yet another strategic failure. The stated aim of President Bush, when he announced the surge in January was that it would give breathing space for political reconciliation. “But there’s almost no sign of political reconciliation in Iraq at the national level. Judged in the terms in which it was presented, the surge has failed,” he said. Already there are signs of the beginning of a regional war, he said. Iran is active in many ways in the conflict, as is Syria to a lesser extent, and Saudi Arabia is providing financing to Sunni insurgents. Already, two million Iraqis have fled the country and the prospect of several million more leaving the country will destabilize the neighboring states. Mr. Ricks correctly, given subsequent developments, predicted America’s top commander in Iraq, Gen. David Petraeus, would make much in his testimony before Congress of the significance of Sunni tribes joining the fight against al Queda in Iraq. He outlined a number of frightening scenarios, from the ultimate takeover of the country by forces loyal to the anti-American Shiite cleric Moktada al-Sadr, already the most powerful man in Iraq, to spillover sectarian conflict in Saudi Arabia. The big winner out of the Iraq war, he said, is Iran. The war severely limited U.S. options for dealing with that country’s nuclear program, because “by being in Iraq we have essentially given them 160,000 hostages. Mr. Ricks was critical not only of the current administration for getting America into the war, but also of the Congress for its failure to scrutinize the conduct of the war. He spoke of the long tradition of vigorous oversight — during the Civil War, President Lincoln was antagonized because Congress was so intrusive, during World War II Harry Truman made his name by holding hearings on defense contracting. Lyndon Baines Johnson was behind hearings on the Korean War which undercut General MacArthur. He also decried a loss of accountability among senior military ranks. During World War II, 17 division commanders had been relieved of their commands for failure to perform; in Iraq, he said the number was between zero and one, depending on whether Col. Janis Karpinski was removed for her oversight of Abu Ghraib or for shoplifting. Senior officers were removed for criticism, but not for incompetence. Mr. Ricks said he is deeply concerned that many of the best people in the military, particularly captains, are getting out. The loss of the tradition of accountability in the military is a major problem he is now investigating further.